On the surface, the dead men seem like unlikely victims. 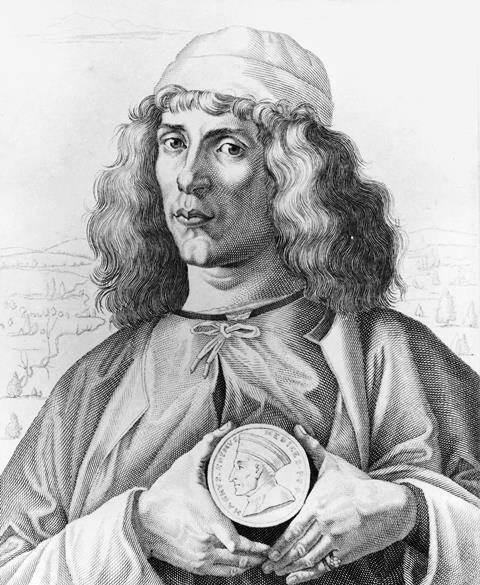 Giovanni Pico della Mirandola and Angelo Poliziano were scholars and Humanists: one a philosopher, the other a poet. Both had lived 15th century Florence, Italy, and both enjoyed the patronage of Lorenzo the Magnificent, the patriarch of the powerful House of Medici. Yet like scholars in the modern day, this duo were more than their work. They each had complicated lives, with secrets and scandals all their own. Mirandola and Poliziano had died two months apart, with similar symptoms of violent fevers, delirium and hallucinations. At the time, their passing sparked speculation and suspicion throughout the cultured world of the Renaissance. Eventually, court gossip pinned their demise on either syphilis or poisoning. More court gossip – considering Miradola’s and Poliziano’s familiarity with each other and their supposed syphilis deaths – would make these scholars lovers. The case remained unsolved for centuries. Yet within the past decade, more than 500 years since Mirandola and Poliziano took their last breaths, a multinational team has begun to unravel the mystery. In its tertiary stage, syphilis starts leaving its mark on bone, particularly the cranium and tibia, creating lesions, pitting and a ‘moth-like’ appearance. 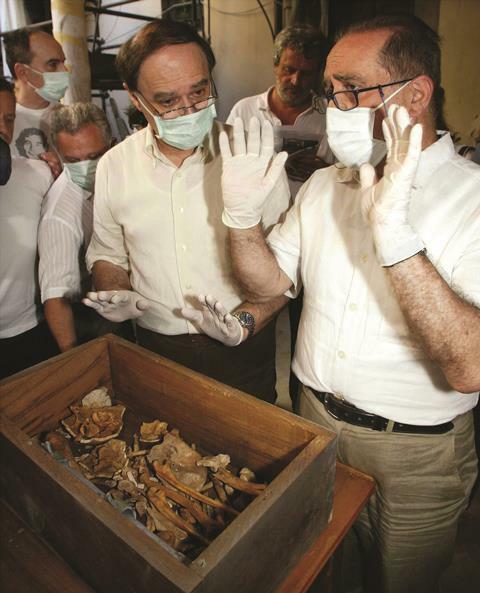 Researchers had a nearly complete, well-preserved skeleton of Mirandola to examine for the tell-tale signs of late stage syphilis; for Poliziano, only a ‘scare number of fragments’ from the skeleton remained. The bones were scrutinised but none of the hallmarks of late-stage syphilis were found. Next, the researchers considered poisoning. Both scholars had powerful enemies. Seven years earlier, Mirandola had incurred the wrath of Pope Innocent VIII and fled to France, where he had been briefly imprisoned (which seems to would contradict the arguments against syphilis due to timing). Had the infamous court intrigue of the Medici led to their deaths? Researchers examined samples of Mirandola’s and Poliziano’s remains for toxic metals using a variety of techniques, including inductively coupled plasma mass spectrometry (ICP–MS) and hydride generation atomic fluorescence spectrometry (HG–AFS). Mirandola’s remains showed levels of arsenic levels ‘almost twice the amount considered normal in the population of the Renaissance period’ and ‘compatible with a form of acute arsenic exposure.’ In addition, researchers observed the presence of bands of discoloration across Mirandola’s fingernails using scanning electron microscopy and optical microscopy. These bands might be transverse true leukonychia, also known as Mees’ lines, which are indicative of heavy metal poisoning. Arsenic was not the only toxic metal found in Mirandola’s remains. The researchers also found mercury, though not at toxic levels. The team note that such levels ‘were found in medieval and Renaissance individuals under medical treatment’ – such as for the treatment of syphilis. Indeed, arsenic and some of its compounds were also used to treat syphilis, although that therapy only emerged hundreds of years later. The poor state of Poliziano’s remains meant his arsenic and mercury results were ‘very difficult to discuss’, but his mercury levels were below even medicinal levels while the arsenic found was ‘high compared with the average levels for human bones’. Was the poisoning murder? Researchers concluded it is ‘difficult to prove that this was an intentional poisoning, but such assumption is consistent with several documentary and historical sources.’ Silvano Vinceti, of Italy’s National Committee for the Enhancement of Historical Cultural and Environmental Heritage and associated with this project, asserts Mirandola was murdered and even names a suspect: Mirandola’s secretary, Cristoforo de Calamaggiore, under the order of Piero de’ Medici, Lorenzo’s son. Vinceti suggested that Mirandola fell on Piero’s bad side by associating with one of his enemies, a Dominican friar called Girolamo Savonarola. But Vinceti is not the only one to suggest Mirandola fell victim to a conspiracy, and several other suspects have been put forward by other . For now, the case looks as if it will remain unsolved: a complicated death for a complicated life.